What is CINAZ? Who are we? CINAZ is a non-profit/non-governmetal organization that creates and implements non-formal educational programs/projects based on the needs of children and youth, but also actively include parents, educators and teaching staff. Our goal is to help children and youth spend more creative and quality free time. CINAZ organizes various workshops as part of its projects: workshop for critical thinking, journalism workshop, media workshop, film and photography workshop, art workshop, drama studio, dance studio, chess workshop, youth counseling, responsible parenthood workshop, workshop for professional development, peer-to-peer help (pupils and students), help in prevention of youth violence, international youth cooperation, forums and round table discussions regarding youth issues. We are nationally recognized with our unique project "Ten days without screens" that we have been implementing in primary schools throughout Croatia since since 2008 every school year. We also lead a project of a first youth club 'KLOOZ' (eng.clues) in our city Zadar, first Info Youth Point to help youth to be quality informed and have a youth film club Lumiere Media, a member of the Croatian Film Union, engaged in production and shooting of many film and documentary projects, and photography. Every year they organize Photo days and short film festival Lumiere Media Festival in Zadar. Members of CINAZ are experts of various profiles who implement various programs/projects: educators, psychologists, sociologists, social workers, defectologists, doctors, university professors. We also encourage volunteering among youth – interested students and pupils, who largely contribute to our work. Our project/program users are children of primary shools and high schools throughout Croatia, students, parents. We have published several books regarding media manipulation, media addiction, media education. PROJECT "TEN DAYS WITHOUT SCREENS"
The goal of the project ‘Ten days without screens’ is to propose the selective use of media during ten days’ time to the pupils of the primary schools. It means that pupils will have to abstain from all media contents especially from the non-educational contents. This project wants to research the problem of cyber-bulling as well as prevent it through workshops. KLOOZ is a project approved and supported by the Ministry of social politics and youth of Republic of Croatia in 2012. It is the first youth club in Zadar, whose goal is to encourage active leisure time of youth, creativity among youth and active youth participation in a local community, as well as to inform and educate youth. The activities of KLOOZ are held in the city centre, close to primary and high schools, libraries and University of Zadar, which makes it an attractive location. The club has a qualified and professional staff and engaged young volunteers. Club activities cover six areas of youth’s interest according to the National Youth Program valid from 2009 until 2013. Taking into account the needs of young people in Zadar and a long-term work of the Association CINAZ in extracurricular activities with young people as well as our research and publications, and the fact of the limited space in Zadar in which youth can creatively spent their free time, the launch of this project is of great importance for youth in Zadar. CINAZ opened the first Youth Info Point in city Zadar in 2012, in cooporation with the Regional Info Youth Center, Info zone, from Split. Info Youth Point was formed as part of a national project „Empowerment toward equal opportunities“ that Info zone implemented in partnership with Cinaz, association Argonauta from Murter and association Bell from Belišće, as a part of a bigger European project „Grassroots Europe-for local wellbeing“ financed by the Open Society Institute from Budapest. There were 14 associations from regions of Dalmatia and Slavonia engaged in this project, engaged in youth information work. 1.) 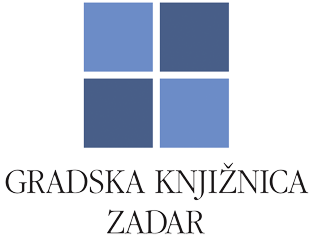 "The young and the media- prevention of media manipulation addiction" (Miliša, Tolić, and Vertovšek, Zagreb, 2009). A scientific and research based book that speaks about the negative mass media influence on the young generation and how to reduce the youth exposure to (mainly) harmful messages that come from the commercialized media. The authors emphasize the role of the school in the development of the media competencies. School should not only implement the new media, but also develop the pupils' critical awareness about the contents the media offer. 3.) "Ten days without screens - brochure/workshop for the development of youth’s critical and selective use of three screens" (Tudor, Miliša, Tolić, Vertovšek, Drobac, Zagreb, M.E.P. d.o.o 2010). In our latest book we analyze various examples of media manipulation in detail, show the results of study about more prominent children's and youth' media addiction, violation od children's rights in the media, and explain our nationally recognized project Ten days without screens, that CINAZ has implemented in 13 primary schools throughout Croatia. The book is very useful with implemetation of National Curriculum Framework in programs of of prevention of (media) violence and media addiction (of three screens). The project has already been supported by the Ministry and supported by the media. The book is intended for teaching staff, eduactors, principals, librarians, parents, students, pupils, university professors, NGO activists,etc.